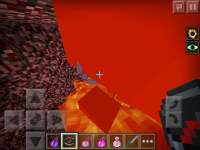 One day, I threw a fire resistance potion on a nether mob that is in lava. After a few mins, it got fire damage! When the fire resistance effect ran out for a nether mob that is in lava, it still survives and did not take any damage from lava. It started to take damage from lava after the fire resistance effect had run out. 1. 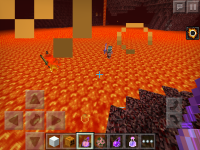 Spawn a nether mob in lava, e.g. wither skeleton, zombie pigman, etc. 3. Wait for the effect to run out for them, it should start taking damage from lava. The bug can also be reproduced using tipped arrows of fire resistance. MCPE-17062 Ghast, Blaze & Wither Skeleton now take fire / lava damage.